I have been so excited for this book! This one has a little more spice (romance wise) than other books in this series have been. The story really comes to head, each plot comes full circle. I have to say it's been my favorite one yet. I couldn't put it down!! I was happy to discover that the story is not over at the end of this book. I was concerned it might be, but after I finished reading "Queen of Shadows" I found out there will be 2 more books....yay! 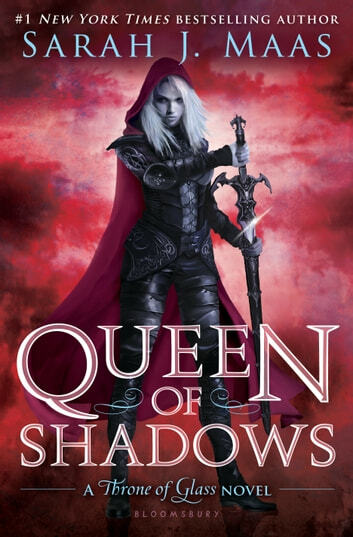 I can't wait for the next book so I can find out what is going to happen with Aelin, Rowan, Aedion, Lysandra, Dorian and Chaol. I'm really enjoying the combination of romance, magic, suspense and action that are in these books. Great stories! This book is no exception. An excellent piece-together of all the little subplots Maas left hanging from the last book. I can't wait for the last two books. Seriously—I can't wait. She's home! Oh this book was.....wow, I have no words. This is such an amazing series & I have a feeling it's only going to get better. I love them all! ♥♡♥ I beyond love this book.